One of the most useful and important small appliances in any kitchen is a good quality, affordable and value for money food blender. A good value blender with grinder is even better. The Kitchen Genie 300 watt blender with grinder is an affordable option for the family home. If you want to call it cheap you can do but its well built and will do the job for years. 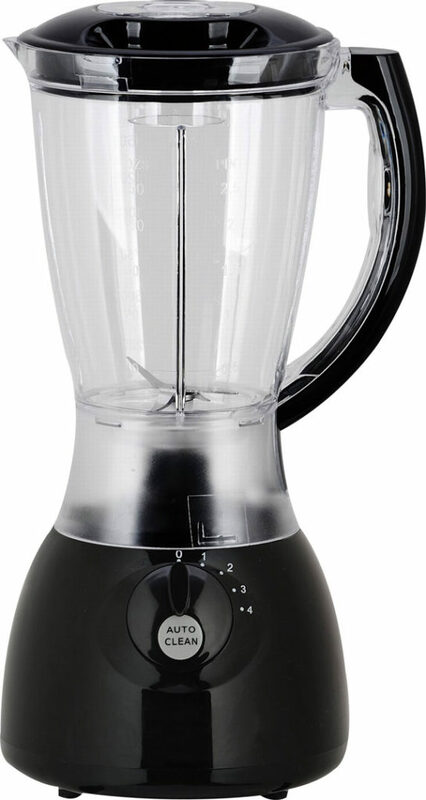 A Blender is an electric appliance for mashing and mixing food ingredients like tomatoes, onions, peppers, celery etc. It can also be used as a mixer or blender / grinder, as mixing is often involved too. In addition, some types of blender sets have a blender jar with blades designed for dry food ingredients such as, spices, coffee, dried fish, dried fruits, egusi, ogbono, etc. The Kitchen Genie 300W blender has a built in grinder to cope with dry ingredients. So when it comes to buying a blender for your home kitchen, look into buying a blender with grinder. The Kitchen Genie 300W blender with grinder is a handy affordable blender which is a must have tool for any kitchen. Rubber suction feet on the bottom are an added benefit as these keep the blender in place when powering through their work load. There’s nothing so annoying as a blender that moves across the kitchen work top of its own accord. The Kitchen Genie range of blenders starts with the affordable 300 Watt model with spice grinder, great for ginding spices and even coffee. It also has a 4 speed control and a large 1.5 Litre jar. The Deluxe model has a more powerful 800 Watt motor, 2 speed with pulse function and 4 piece stainless steel blades. The top of the range model has an impressive 1500 Watt motor which produces 2500 rpm. This can produce crushed ice in seconds. Plastic grinder jar, great for coffee and spices. Detachable parts easy to clean.